Why did I wait so long for this exquisite experience? From the lovely little walk along Glenmore Road to the quaint old terraced houses and the rare boutiques surrounding L’etoile – I’m immersed in the European finesse which the French so rightfully lay claim to. I am greeted at the door by the thoroughly French and fabulously attentive Didier. He delights me with a little window table in the corner … perfect for the lone diner and better yet for one with a penchant for observing life. As I sit down the sun breaks through the clouds and glistens on the drizzle. I am the first diner to arrive and so have the restaurant – and Didier – all to myself. 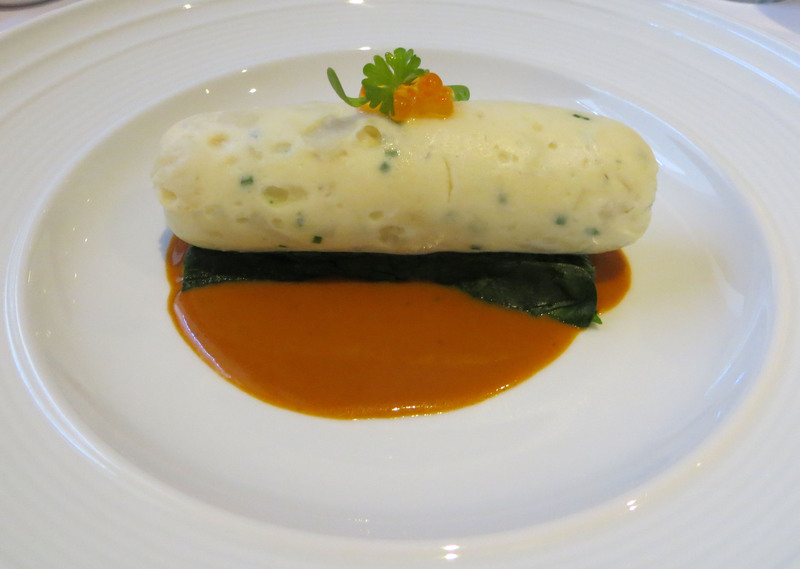 I order a glass of Champagne and the Boudin de St Jacques to start – the silkiest scallop sausage with crustacean bisque. The sausage is unimaginably light but given a balanced depth with the fullness of flavour from the bisque. The roe pops delicately in my mouth and for the first time I get what all the fuss is about. 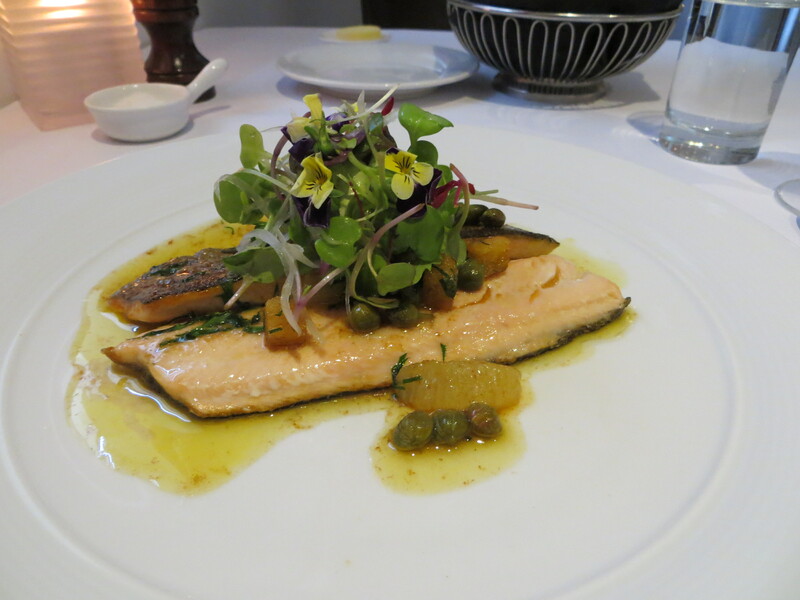 I’m tempted by everything on the “plats principaux”, but settle on the rainbow trout fillet with Grenobloise sauce. Did you know there are 20 variations of butter sauces in French cuisine? One for each of the proteins or vegetables they accompany. This one is a butter, parsley, lemon, caper and crouton sauce. The trout is pan-fried with crispy skin and the most delicate flesh and so I’m pleased the butter is gorgeously nutted, served with adequate restraint and cut through sufficiently with the lemon. I also love the little pop from the capers and the peppery finish of the watercress. By now it’s started raining again and I decide there’s nothing for it but a little coffee and dessert. Didier ably predicts my choice (Crème Brulee – of course), but gently steers me towards the citron tart instead. I’m not sorry. A gorgeous champagne and lychee gremolata cleanses my palate and prepares me for the sweetness to follow. The lemon tart is smooth, creamy and um … tart. 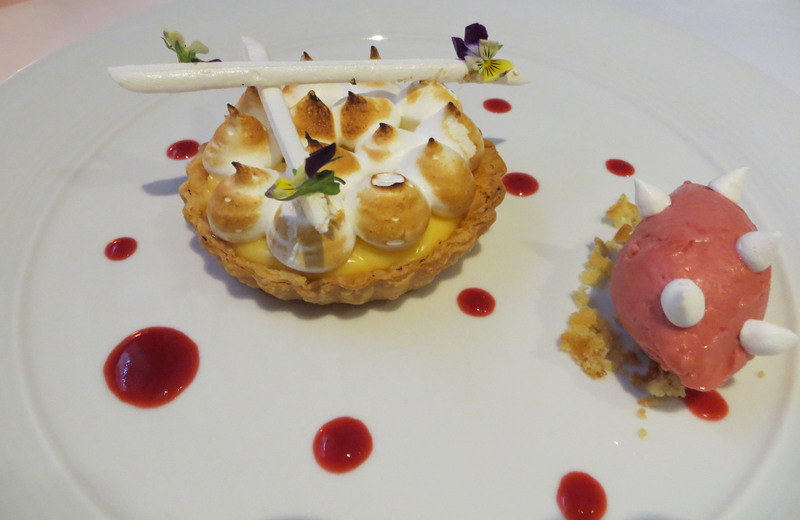 The meringue reminds of me of marshmallows melted over a fire and the pastry is flaky decadence. Again, it’s all about balance and the raspberry and rhubarb sorbet is just the ying for the yang. 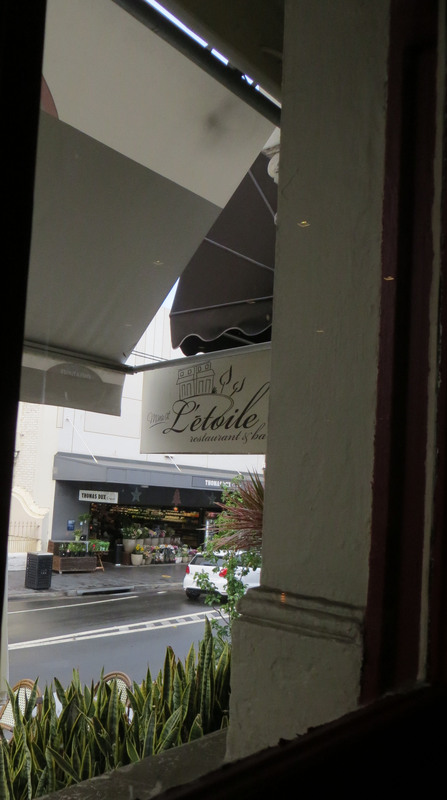 Posted on November 17, 2013 by lynnewarren	• This entry was posted in Flying Solo, Great Grub and tagged French Food, L'Etoile, Manu Feildel, Paddington Restaurants. Bookmark the permalink.